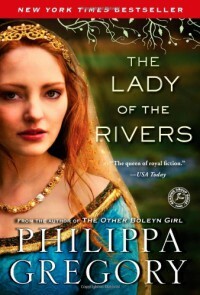 I have read other novels by Philippa Gregory, but this is the first novel I've read of hers about the War of the Roses. Verdict: I enjoyed it and would encourage readers who have enjoyed Philippa Gregory in the past to pick it up. Subject: This book is the story of Jacquetta of Luxembourg, Dowager Duchess of Bedford, mother of Elizabeth of Woodville. The reader is introduced to Joan of Arc (briefly), Margaret of Anjou, Henry the VI and other important aristocrats of the era. We see the end of the Hundred Years War with France and the beginning of the Cousins' War (War of the Roses) in England-- a pivotal time in history all told from the first person perspective of a woman who would have been at the center of the drama. Style/writing: While the book is just over 400 pages long, the language is smooth and easy to read with many beautiful descriptions of nature and the English countryside. Because this book is organized by year and place--the novel begins at a castle near Arras, France in summer-winter 1430 and ends at Grafton, Northamptonshire spring 1464--the novel is easy to put down (although at times it is hard to put down!) and pick back up without feeling disoriented or confused. The novel's serial/historical organization and short chapters make for an enjoyable informative read. I like to read at least two books at once so that's why I particularly like this organization; I can't get confused with the other book I'm reading. The novel is also free of anachronistic phrases, yet, as I said earlier, it is a smooth, pleasant read. History: I feel as if I have learned something about English history and find myself with a renewed interest in the War of the Roses, or the Cousins' War. Some reviewers on Amazon have said that Gregory plays slapdash with history and for that reason they dislike the book, although they don't give examples of how she does that. I do not claim advanced, in depth knowledge of history as I know only the bare outlines, so I can't really speak to the veracity of their claim. For what it's worth, there is apparently not much at all written about Jacquetta of Luxembourg/Dowager Duchess of Bedford, despite the fact that she was undoubtedly an important figure. Indeed, Gregory has written her own (historical, not fiction) book about women of the time. I may check it out for more information. I wonder if claims about historical inaccuracy don't stem from reception of Gregory's book about the Tudors. I have read that many were offended by her portrayal of Anne Boleyn. I don't really know, but I found this book to be enjoyable and informative, and for what it's worth it seems to my untrained eye to match up with history. If I were an interested reader, I would not let such claims dissuade me. Plus, as some Amazon reviewers seem to forget, this is historical fiction, the latter being the operative word. Readers who know more than I do (or did) might not find the book as compelling. This is understandable; as my husband pointed out to me, historical fiction might be inherently unsatisfying because there are always spoilers!! Ha! Fair enough, but the end is not the point, but rather the journey is what is of interest. And, despite the fact that I knew the fate of Henry VI, I still found this intriguing. Why? The witchcraft/magic angle was new to me, and, well, also the female perspective; I think that Gregory takes great care to portray her female characters as complex, interesting individuals with whom the reader can feel sympathy. I felt sympathy for Margaret of Anjou (unitl I didn't) and sympathy with many of the others in the novel. I had forgotten to what extent people in the Middle Ages believed in what we would now call superstition: witchcraft, alchemy, seers, herbs, tarot cards. I enjoyed it, and found myself wishing for more witchcraft, mystery, unicorns, and visions in the mirror. It is the hidden and the arcane to which many women undoubtedly were drawn. Legitimate pathways to power were barred, but there was wisdom and knowledge on the margins of society. It is indeed interesting to surmise, as Gregory does, how women might have navigated the boundary between acceptability and freedom, between personal ambition and obedience. But, as Jacquetta reminds us, witchcraft is dangerous, a woman who seeks to chart her own destiny will ultimately find herself at the stake, like Joan of Arc, or imprisoned like another noble lady in the novel. And therein, I think, lies the strength and the weakness of this novel: we are invited to view historical events through the eyes of a woman, and as a woman reader this is an exciting prospect to be sure; I am already on the side of the woman who seeks to chart her own course, but Gregory combines the narrative voice of Jacquetta with the voice of the historian to such a great extent that I am left at times--not often, but at times--to question the voice of the heroine narrating her tale. At the beginning we are told quite sternly by a very young Jacquetta who witnesses the burning of Joan of Arc that this is a nightmare "that tells me, as clearly, as if it were written in letters of fire, what ending a girl may expect if she defies the rules of men and thinks she can make her own destiny. I am here to witness what happens to a woman who thinks she knows more than men." (And there are more mentions of this.) My first thought was: well, of course, thank you writer for pointing out the obvious. At this point in the narration it has been well-established that Jacquetta knows a thing or two about witchcraft and the reader can conclude that she would have been horrified by the fate of Joan of Arc. Furthermore, the phrase 'I am here to witness' sounds a bit too much like the feminist historian putting herself in the place of woman of that era and less like a woman of that era. On another occasion, Jacquetta speaks in a rather objective tone about war and taxes and the plight of the common peasant. 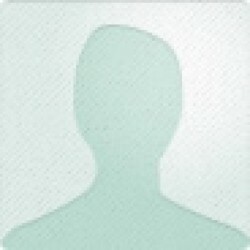 It is information that is informative and interesting to the reader, but, well, would a noble woman have noticed this? I don't know. Jacquetta married outside of the aristocracy, so maybe she was just particularly sympathetic. These are small faults, I think, in an otherwise well-written, interesting novel. I forgive them easily--mostly because I like the final product so well; the end of the novel and the beginning were my favorite parts, but the middle is not boring, if it had been I wouldn't have finished it.